ULTIMATE PORTION FIX® IS HERE! I COULD NOT BE MORE EXCITED TO BRING YOU THIS PROGRAM! Ultimate Portion Fix is the expansion of one of the most successful weight-loss programs at Beachbody®. 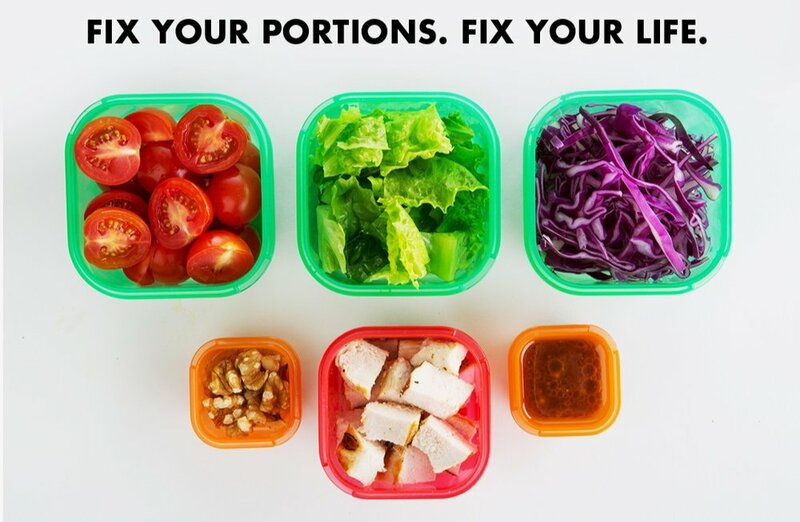 This 30-day video based program from creator Autumn Calabrese will teach you how to use color-coded, portion-control containers to take the guesswork out of eating delicious, perfectly sized meals, every time. Ultimate Portion Fix isn’t a diet— you can still eat the foods you love, including snacks and desserts. It includes over 300 recipes, comprehensive food lists, and ways the whole family can get involved in making healthier decisions. Autumn has applied 5 years of proven success to give you MORE tools, strategies, tips, and hacks, that can make it simpler than ever to lose weight. With over 30 new videos, and tools like a Workbook and Daily Logbook, you’ll learn strategies to help you overcome your sugar addiction, fuel your body for performance, and incorporate your whole family—even kids— into the program. Plus, you’ll get the new FIXATE® Volume 2 Cookbook with 102 new recipes and the 75 Healthy Lunch Ideas for Kids PDF. As a FREE BONUS when you buy Ultimate Portion Fix, you’ll also get permanent access to 21 Day Fix® and 21 Day Fix EXTREME® workouts shot in real time with an emphasis on faster progress. WHAT DO I GET WITH ULTIMATE PORTION® FIX? Coaching and Motivation from me!